Get weekly updates of the latest adventure trade news in your inbox. 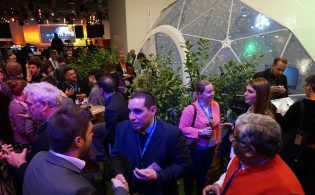 AdventureConnect events are regional networking gatherings, facilitated by the ATTA and its regional advocates. 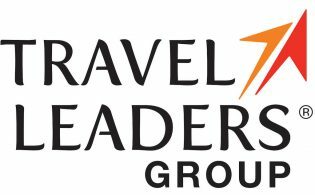 Creating ‘wow’ moments for travelers is this tour operator’s stock in trade. Now Austin Adventures is rethinking and rewriting the consummate national park adventure. 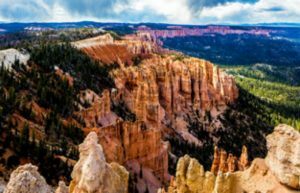 The award-winning company is offering, new for 2018, a one-of-a-kind, leave-the-driving-to-us tour of Utah embracing five must-see National Parks. This is an opportunity over eight days to not just visit but to deeply explore and hike Canyonlands, Arches, Capitol Reef, Bryce Canyon, and Zion national parks. The primary activities while exploring the parks include photography, hiking (up to eight miles a day) and luxuriating in the hospitality of inns that reflect their scenic location, seasoned with a polish unique to the desert West. At each breathtaking vista, the guides share their knowledge of what’s special to the region: unique geology, the movement of settlers through the area as they headed west, pictographs left by early Native Americans on canyon walls, stories of these early people and how a landscape that appears remarkable and often bizarre was sometimes a deadly challenge to early explorers. 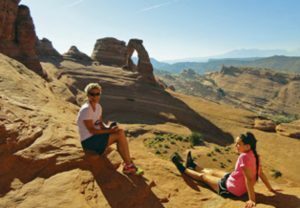 “Utah is among the few places in the world that can offer so many different adventures and landscapes in such close proximity to one another,” Austin added. “Even when traveling the short distances between each park the landscape is distinct and spectacular.” Two skilled and experienced guides help point out landmarks and points of distinction while sharing stories along the way. Canyonlands Inn in Moab, UT, is base camp for two nights while exploring Arches and Canyonlands. Hiking with guides (who also prepare al fresco feasts) over two days in the parks clears up some of the mysteries of how the red rocks and other-worldly rock formations came to be. “The Land of the Sleeping Rainbow” is the Native American name for Capitol Reef National Park distinguished by tilted buttes and jumbled rocks that can be sensed up close on a guided trek. This immersion in a vast desert landscape turns to intimate at Red River Ranch, built on the grand scale of the great western lodges. At Bryce Canyon National Park guests will walk off bountiful breakfasts served at The Lodge at Bryce Canyon, home for two nights. This is one of the grand dames of the national parks culture, created in the 1920s and despite her years still intact and enjoying fame as a National Historic Landmark. The lodge offers unrivaled access to breathtaking views, world-class hiking trails and a tranquil wilderness. As the only lodging within the national park, all of the facilities are just steps from the stunning ancient rock formations of the Bryce Amphitheater. The next day guests transfer into Zion through an entrance guaranteed to invoke awe while winding through the magnificent canyon walls and towering cliffs that make up this majestic park. Here is are two of the top-rated hikes in the world, Angel’s Landing and the Virgin Narrows. Home base in Zion National Park is Zion Lodge set amidst the park’s towering red rock cliffs and surrounded by spectacular 2,000-feet canyon walls. 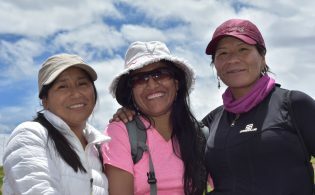 Contributing members are responsible for the accuracy of content contributed to the Member News section of AdventureTravelNews.